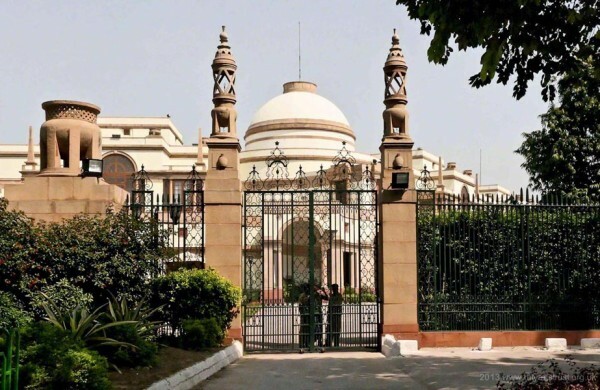 The ICAA [Institute of Classical Architecture & Art] has partnered with Classical Excursions to offer a tour of the architecture of New Delhi, with a special focus on the works of the renowned architect Sir Edwin Lutyens, February 10-17, 2018. Participants will explore the architecture and wonder of this fabled city. The tour is presented in collaboration with the Indian National Trust for Art & Culture Heritage, which provides exclusive entrée to government and other notable buildings. An optional extension, The Golden Triangle: Agra, Jaipur, Alsisar, and the Shekhawati Region of India from February 17-24, 2018, will immediately follow the main tour. Five-star accommodations have been reserved at the legendary Imperial Hotel, ranked the top luxury hotel in Asia. > Visit to Hyderabad House (pictured above), designed by Sir Edwin Lutyens in 1926. The House was known as the Palace of the Nizam of Hyderabad, and was one of the princely residences in New Delhi. > Tour of India Gate, designed by Lutyens and completed in 1931. Located on the eastern edge of the ceremonial axis of New Delhi, it is a memorial to the soldiers of the Indian army who died during the First World War. > Visit to the National Archives Building designed by Lutyens in 1926, which was originally known as the Imperial Record Office. > And so much more.